The Fife Riding Club was established in 1965 and currently has an annual membership of around 200. 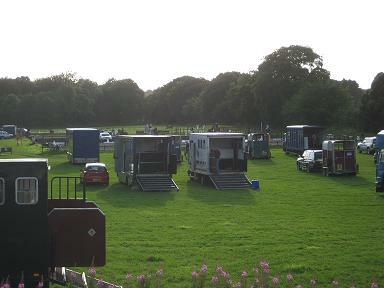 The club is one of the few organisations of its kind to have its own permanent showground at Western Avenue, Coul East, Glenrothes, Fife, Scotland, where members have the use of some 8.5 acres of grass together with two all-weather arenas, a sand schooling area and a large "Springturf" ring. Members also enjoy the exclusive use of a permanent cross country course at Craigie Farm, by Leuchars, courtesy of Club President, John Foster. Membership is open to anyone aged 16 or over. Benefits of membership include the discount entry fees for competitions, access to subsidised training and the use of the Club's facilities out with normal meeting times. The Club offers a busy and varied programme throughout the year including training in flatwork, cross country and jumping for all levels of ability from beginner to advanced. There are regular weekend shows, as well as mid-week evening competition in all disciplines. The Club is fortunate to have the use of a permanent cross country course at Craigie Farm near Leuchars where members organise and run two major competitions!